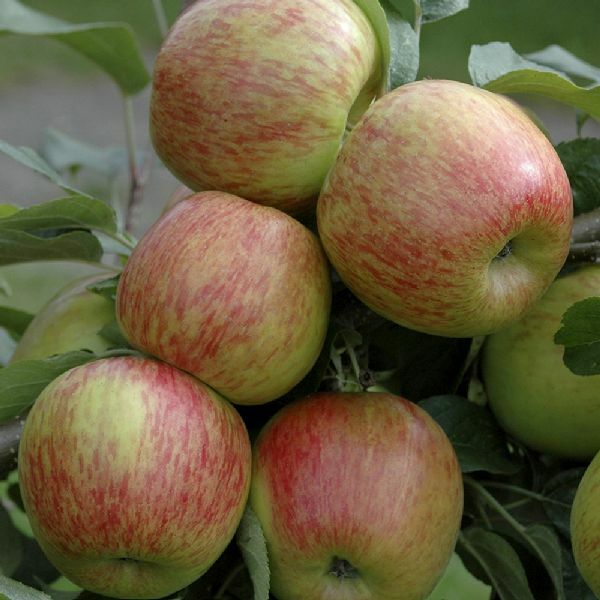 A firm, crisp and juicy dessert apple with a mouth-watering appearance and delicious flavour. Fruits September to November. Keeps well and a reliable heavy cropper. Self-fertile and frost resistant.